Untitled, a photo by Halyma on Flickr. 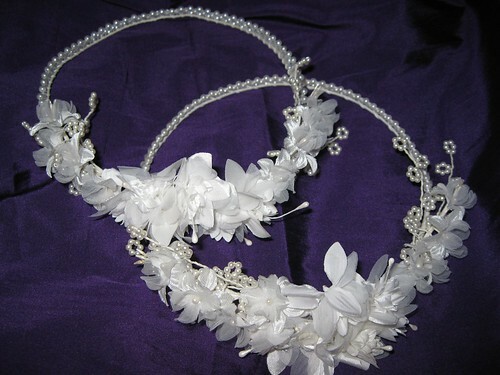 I had a last minute call this week to create two matching crowns for an upcoming wedding blessing ceremony. I quite enjoyed the creating of these two pieces . It’s been a while since anyone has requested a headpiece as fresh floral head wear has become very poplar, but it’s nice to see a resurgence of headpieces with pearls and beads. We’ll see where this takes us! These will go off this week to enhance a marriage ceremony and I am pleased to have been able to help at the last minute this way!